A visitor to your website has converted into a purchasing customer. Congratulations! We have all researched online a new product or service. What did we do? Most likely we searched out reviews, amazon.com comes to mind, and talked with others about their experience. We have partnered with Yotpo for an excellent review experience designed for ease of use, simple emails that customers fill out within their email, submit, and their done! You may create a coupon feature for those who leave a review. You may personally email a customer who left a review with a coupon and thank you. Creating credibility online through reviews is proven to increase your SEO, social media presence, and your brand equity. Reviews are one way to increase your customer’s lifetime value as well as build a valuable list of loyal eCommerce customers. We have partnered with Reward Camp so you have the ability to give back to your loyal customers and turn new customers into loyal ones. 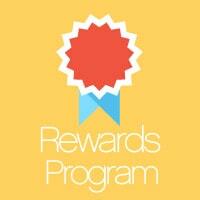 Reward programs are proven to increase CLV and conversion rates. Remember the last time you had a gift card for a place you’ve patronized before? Odds are you spent that gift card amount and more. You set the tiers or thresholds for what amount spent earns what amount of reward. The redemption process is quick and easy for your customer. When they log into their account they will automatically have a credit ready and waiting for them to use depending on their level of reward setup, managed, and controlled by you. The power of having credit to spend cannot be denied. Those customers who leave a cart can be recovered. Up to 15% of them! The process is simple and effective. A customer leaves you site, they are emailed, (with a customized email you create including coupons if you choose) enticing them to come back and complete their purchase. Money “left on the table” can be yours. Customers appreciate things being made more efficient and easy for them. Why not send them a reminder a week before a birthday or anniversary triggered by purchases they have made in the past? This event reminder feature automatically sends an email making it simple for the customer to reorder. When customers sign up for your mailing list we make sure they are automatically integrated into your emailing marketing software such as MailChimp or Constant Contact. If you don’t have this software, we will set one up for you. Sending targeted and relevant emails to your customer base is proven to increase conversions, CLV, and customer satisfaction. Don’t have an email marketing team? Contact us and we will set you up with our partners. Your customer’s lifetime value equals the value of your brand, your business, and your future in eCommerce. We strongly encourage and recommend the use of these provided features to boost your online sales. Just as your awesome product delivery and offline service build your brand with your brick and mortar store, these features dramatically boost your service level online. We at epicShops will setup, train, and support you every step of the way. We know that if you’re not successful, we’re not successful.